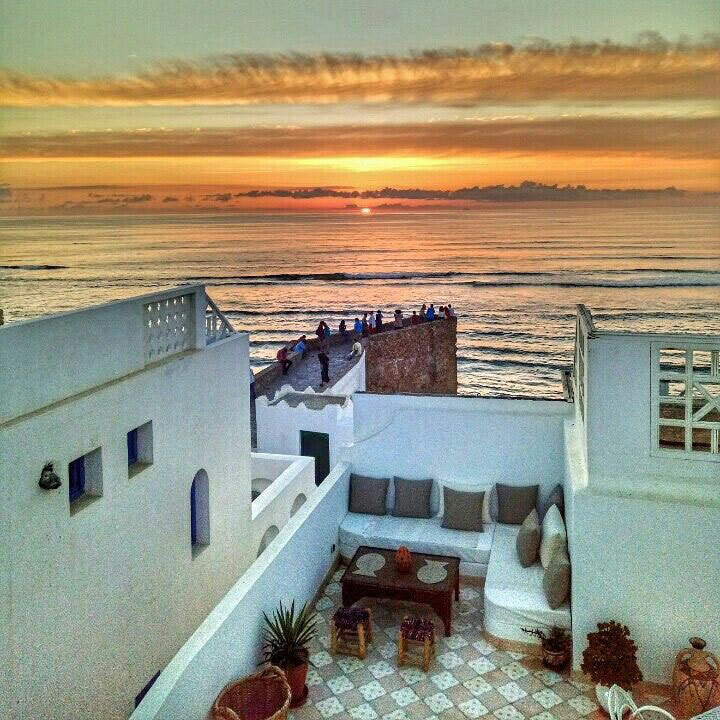 We spent a year living in a riad just around the corner from here and I do miss waking up to this view and the sound of waves crashing on the medina walls – so our stay here was accompanied by a large dose of nostalgia! 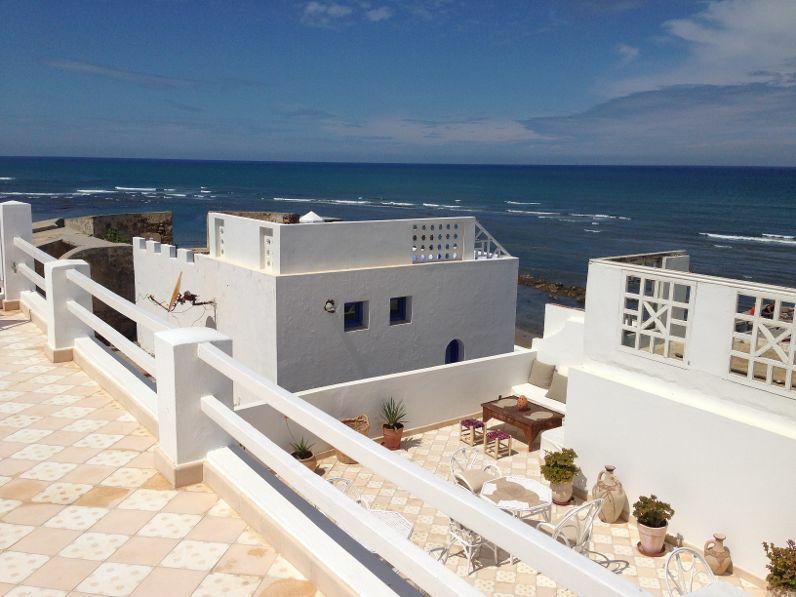 Its in a great location at the far end of the medina – just follow the sea wall until you can’t go any further, and turn left! 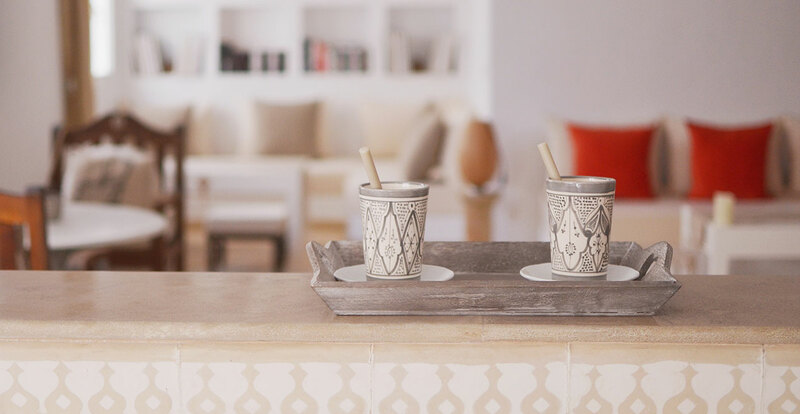 Its owner Vanessa has done a fabulous job of redesigning and decorating this lovely old seaside riad – and quite frankly with a view like this who needs anything more? Me, my book, that couch . 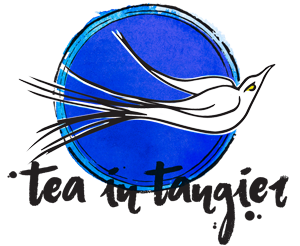 . . happy holidays! 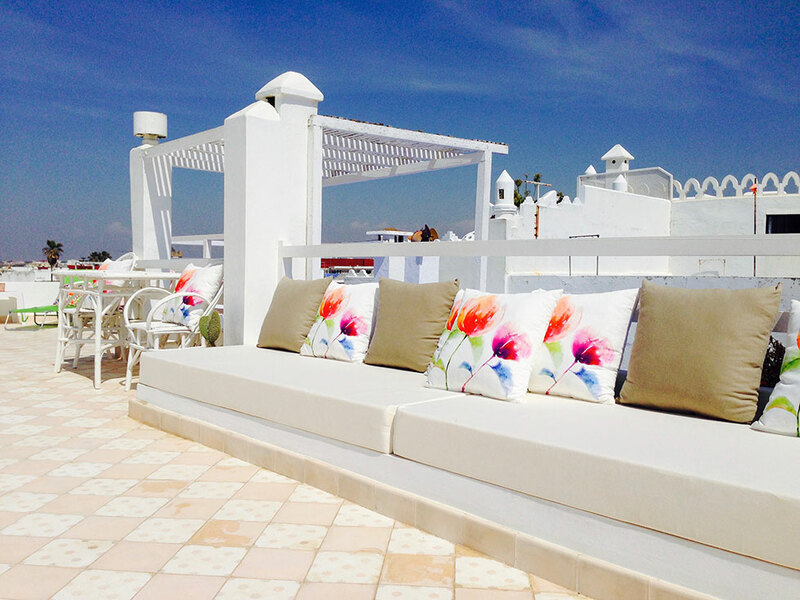 The roof terrace is on two levels and both have great views over the ocean as well as over the medina, with plenty of options to find a your own personal corner with a view! 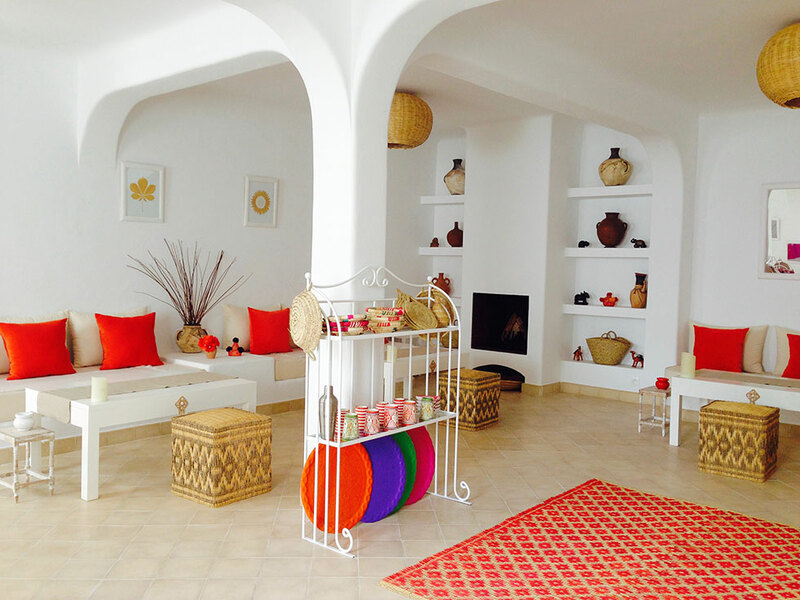 Vanessa has managed to combine a tranquil, minimalist interior while still introducing elements of Moroccan crafts and design, and the light and natural interior is brought to life with bursts of bright colours. 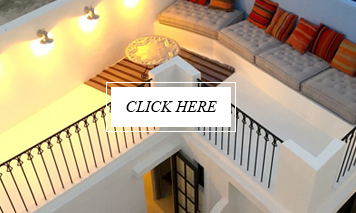 There is a kitchen area for guests where you can make yourself a cup of coffee before perusing the books in the lounge, or put a bottle of wine in the fridge for sunset on the terrace a bit later. All the rooms are lovely and each a little different, but what they do have in common is comfort. We stayed in Suite Musc but I did have a peek at some of the others – as one does! And this has got to be one of my favourite views – the perfect way to end a day on the edge of Africa.